Big data is one of the hottest buzzwords of the moment, not merely in the retail world. Innovative technologies and IoT has opened new possibilities for gathering and interpreting customer data in retail. According to McKinsey, implementation of big data analytics could improve retailers operating margins by 60%. In the age of the e-commerce boom, it would be a mistake to assume that only online retailers reap the benefits of Big Data analytics. 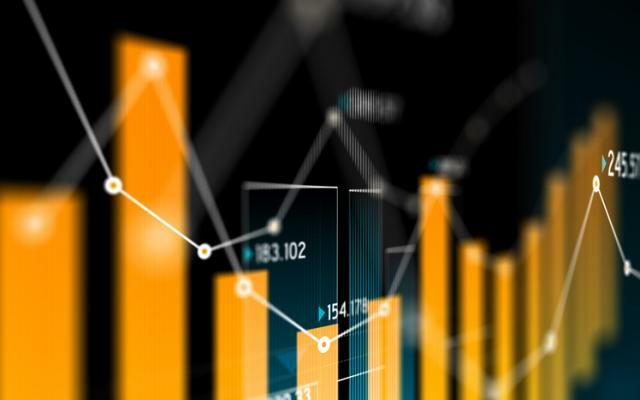 While e-commerce may have the advantage of some unique insights into their customer's online habits, brick and mortar retailers can implement Big Data for actionable insights. Gathering consumer data isn’t a new concept: since the 1980s loyalty cards have been popularised - often offering discounts in return for information on purchasing trends. Now, consumer data can be analysed in real-time to give a much more detailed picture of retail habits. Pair this depth of information with the possibility of automating discounts, pricing or customer interactions and you can get an idea of the wealth of savings and efficiencies that are possible. All retailers - online, omnichannel and brick and mortar - can be empowered by the technology that is available today. We’ve highlighted a few areas of retail businesses that can be enhanced through data analysis. A fuller, more comprehensive picture of your business and your customers is sure to transform the customer experience for the better. POS and RFID technology are one of the most significant sources of Big Data transforming the retail scene. Again, these technologies are not particularly new and have been used in some form within retail for the last ten years. However, the way they are being utilised is particularly innovative. Cloud-based POS systems allow for store staff to process sales anywhere on the shop floor - freeing up employees for improved service. These POS systems can feed into stock inventory to offer an up to date picture of stock even when something is not available to be purchased in-store at that moment. RFID tags are also an increasingly popular technology for brick and mortar retailers. The RFID tags use radio frequencies to emit information and hold a unique code so the stock can be identified. It is the technology that is behind contactless payment that allows the payment transaction to be processed much faster. 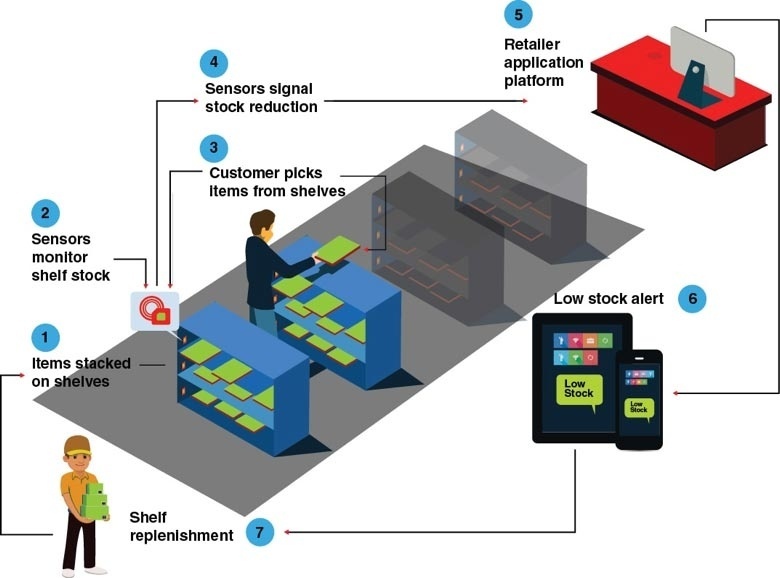 One of the more cutting-edge ways that RFID is being utilised in-store is through tracking customer’s locations as they move around the store and also when they are close proximity to a store but don’t enter. On a large scale, this data can be interpreted to understand how many customers are failing to convert in-store and where the most visited areas of the store are. Loyalty programs are integrated with this Big Data to send targeted offers and discounts straight to customer’s phones when they are in the vicinity of the store. Just as e-commerce can see what items are bought, abandoned in the basket and rarely sell at all, brick and mortar retailers can achieve a similar level of understanding into the way customers interact with particular pieces of stock. There are a range of technologies available that offer information on when a product is taken off a shelf and moved around the store. It’s possible to compare this data with the number of sales of a particular item to understand what products attract customer’s interest despite not being purchased. In the past, retailers would have to wait for month by month reports on stock and sales - now all of this data can be processed instantaneously. Increased efficiency by recognising when an item is low in stock or selling poorly saves the bottom line. For brick and mortar stores looking to gain insights into the unique shopping habits of individual customers, there are a number of techniques currently being executed by high street retailers. Using an email address to send a receipt can capture data on a customer’s purchases. Much like many online retailers, it’s then possible to offer responsive pricing and product suggestions via email. In the past, when a retailer wanted to make discounts on particular pieces of stock this would require going round and manually calculating what items should be discounted and then placing a new price tag on each individual items. Now Big Data provides a clear picture of what should be discounted and POS systems allow for price changes to be rolled out instantly. Analytics can also take into account market trends when selecting and generating discounts. Dynamic pricing models are particularly popular with online retailers as they offer individuals tailored prices to particular products to entice them to convert. Quite often dynamic pricing is used throughout the ‘Items You May Be Interested In..’ section of online retailers. But these techniques need not merely be used by online retailers, brick and mortar stores can use dynamic pricing through email campaigns and other digital brand touchpoints. Marketing initiatives have been given unparalleled insight into the behaviour of customers and their responses to campaigns. Any retailer looking for clear ROI on marketing spend can quickly analyse the results through online analytics. Google Adwords promoting a retailer’s latest products can show which search terms are the most valuable and cost-effective. They also allow for a retailer to map the customer’s online journey on a website and gives a valuable insight into the key areas and products on the website. Strong data analysis creates improved logistic efficiency. It’s essential to incorporate all information gathered from across the business when shaping retail strategy. The range of logistic operations that can be improved through intelligent data analysis is wide and varied. Staffing the store according to footfall data, automating deliveries that align with product demand, mapping store layout according to the most visited areas of the store are just some examples of the logistical improvements Big Data enables.